Akashmitra Mandal conducts the sky watching programmes for students, teachers and enthusiasts through a collection of institute’s range of quality telescopes. Observations are conducted good site with dark sky. Site is equipped with camping facilities. Naked-eye sky observation session is also featured in order to make the new-comers acquainted with the glory of the night sky. Depending on groups’ interest, the program is also coupled with an interesting slide show and explaining astronomical models. 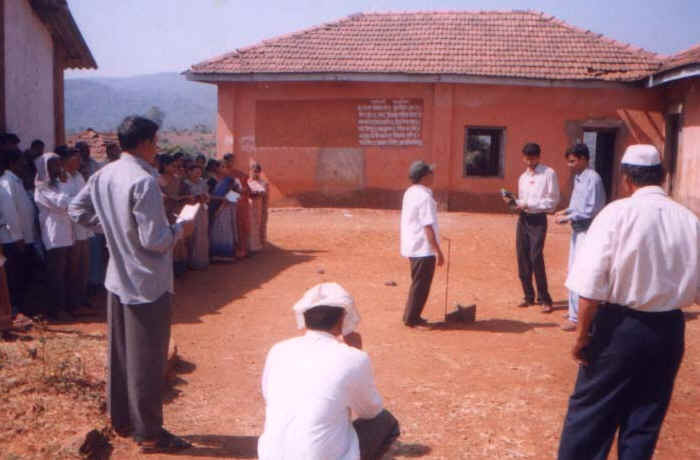 Akashmitra organizes Basic Astronomy Course, wherein, certain fundamental concepts are explained. The Celestial Sphere, coordinate systems, solar system, life cycles of the stars, broad nature of the universe, etc. are emphasized in a (normally) week long course. Such theoretical aspects are then supported by a night sky observation programme at the end of such course. As a mean to reach diversified and heterogeneous mob, Akashmitra Mandal organizes various exhibitions. The institute organised exhibitions in the wake of the Total Solar Eclipses of Oct.1995 & Aug.1999 & also at the occasions of Lunar eclipses. Every year organization takes part on Science Day Function at GMRT by exhibiting various astronomical models. Akashmitra also organizes various workshops, contests and slides shows. The Sundial preparation workshop, Telescope making workshop, etc. are successfully conducted by the institute. 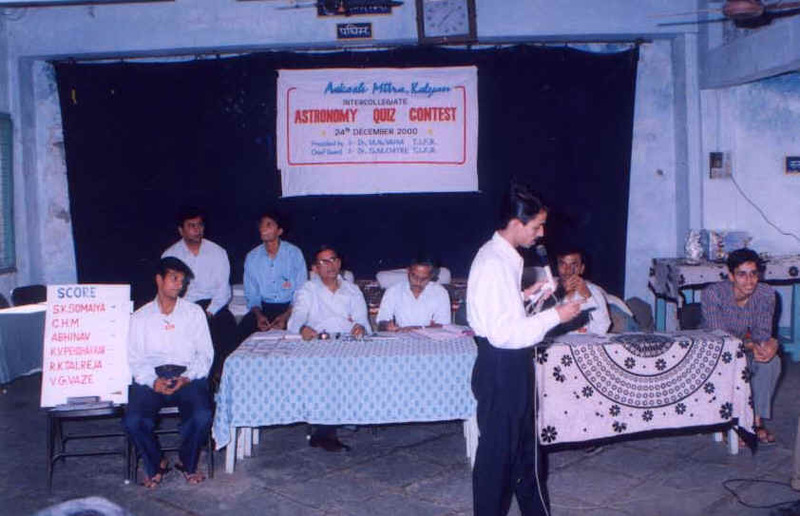 Astronomy Quiz Contest, audio-visual slides show too are conducted by the institute.